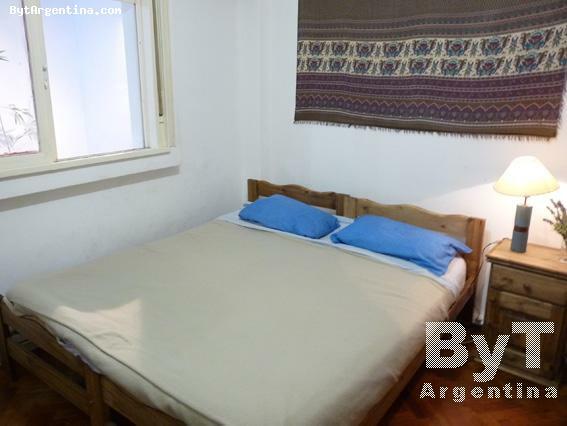 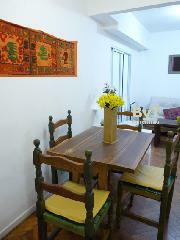 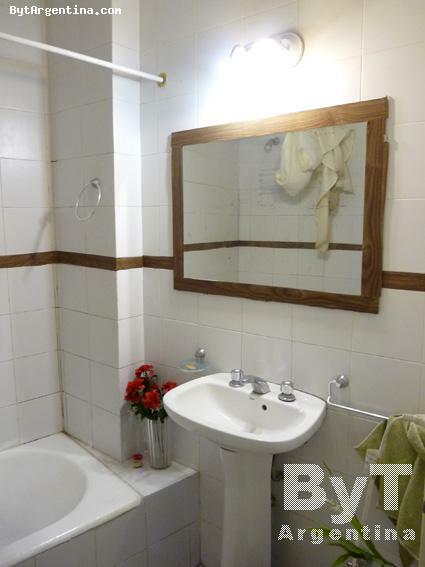 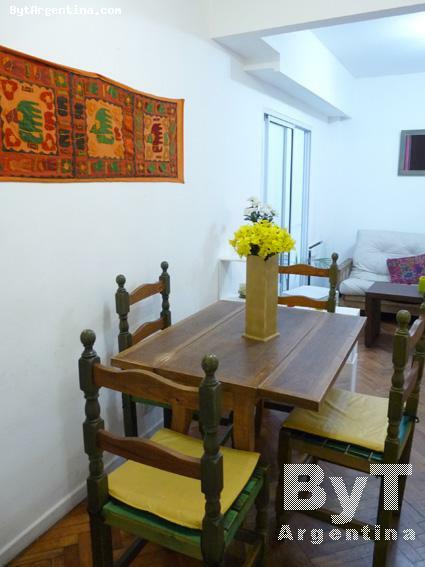 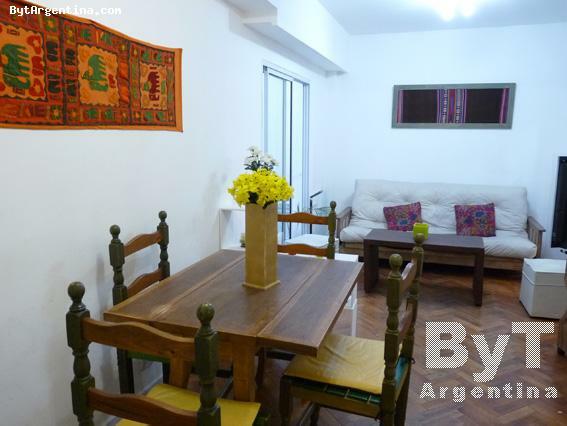 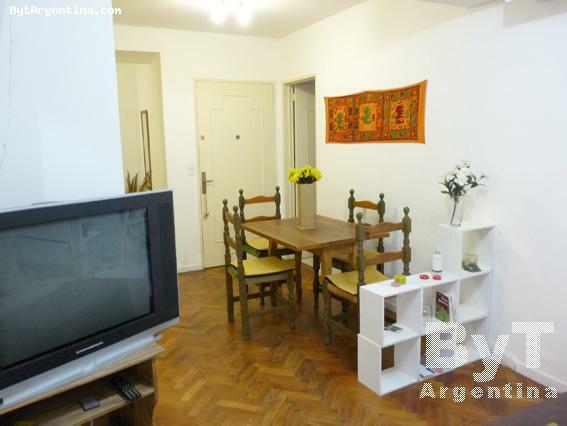 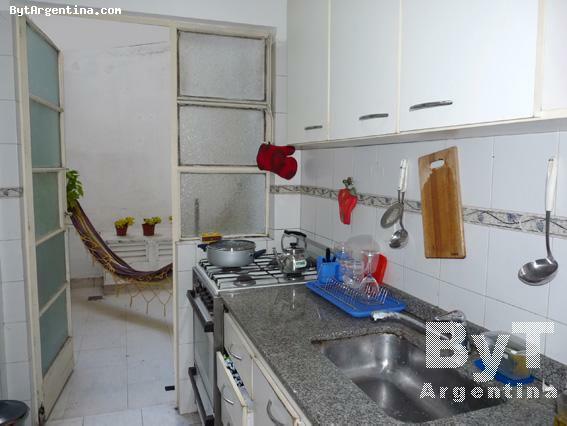 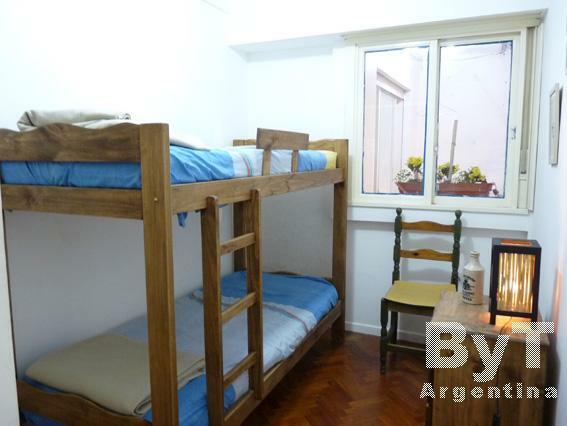 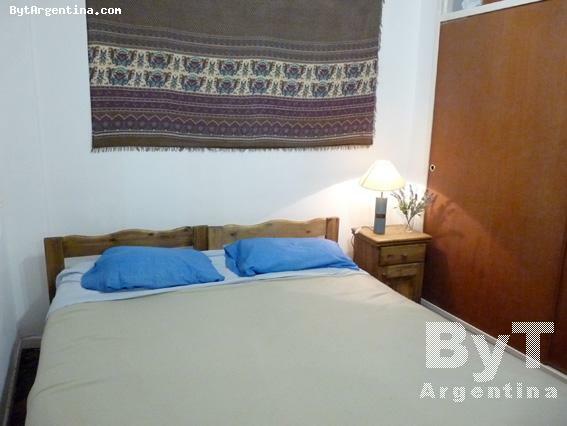 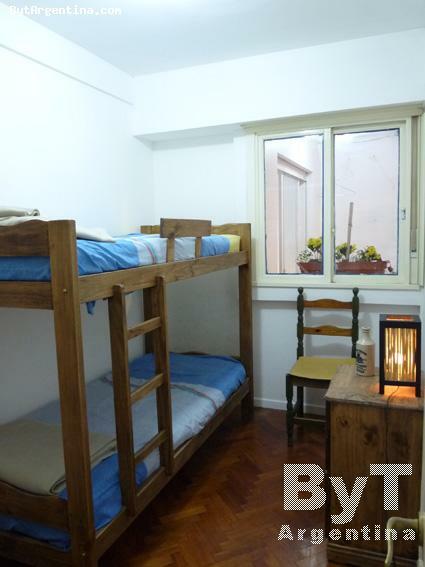 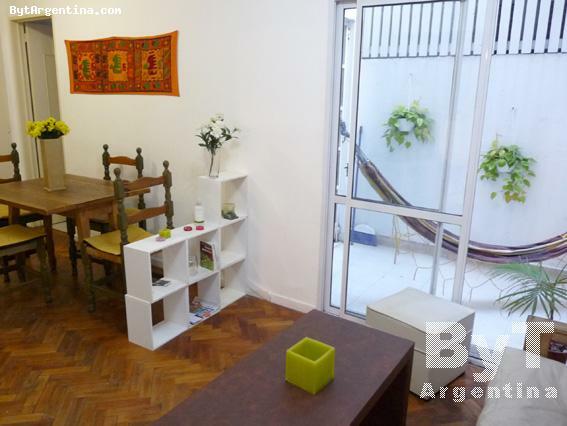 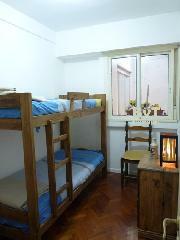 This is a simple two-bedroom apartment greatly located int he Palermo district, just two blocks away from the Santa Fe avenue, the Botanical garden and the subway stop, in an area surrounded by coffee-shops and restaurants. 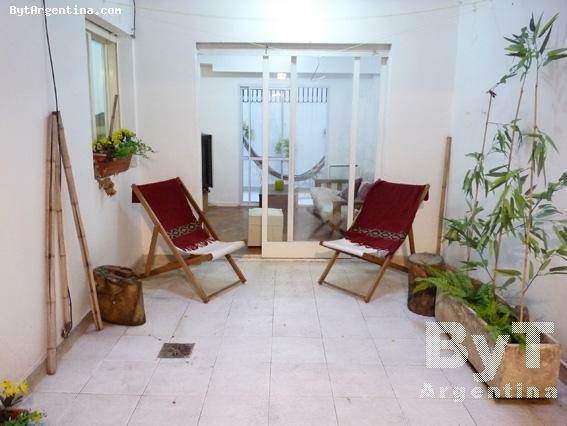 Also walking distance to the Alto Palermo mall, many cinemas and the Palermo Viejo district -full of pubs, design shops and restaurants. 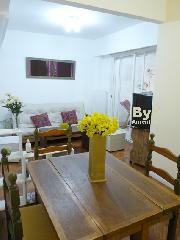 The flat offers a living-dining room with a sofa, and a dining table for four people, the master bedroom with two twin beds (convertible in a double bed as shown in pictures), a second bedroom with two bunk beds, an equipped kitchen, one full bathroom and two internal patios. 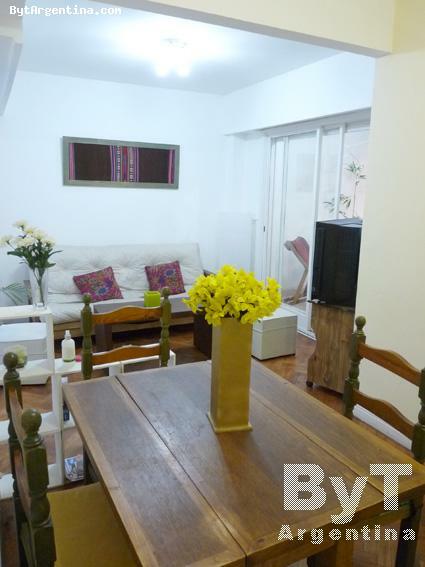 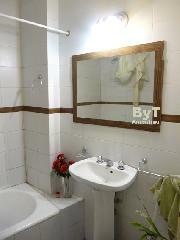 The apartment is equipped with Internet (Wi-Fi), cable TV, fridge with freezer, microwave, dishes and kitchenware, linens and towels.